This is for individuals & families - and also serves as a low-cost, corporate fitness/wellness solution starter plan. This is for the person who needs specific guidance, custom planning, direct accountability and ongoing coaching until they become self-sufficient in mindset and habits of a lifestyle aimed at positive short term results and long term health, wellness and longevity. A - the Video-On-Demand Private Portal as the entry level package, making it cost-efficient and accessible to all levels of various clients in a staff demographic. B - On-site consulting and customization of facilities and space for safe and effective fitness activities before, during or after office hours. 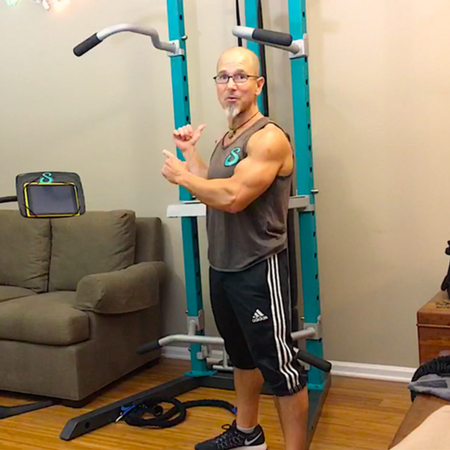 Highest level for individuals is purchase of the SCULPTAFIT Home-Gym System for one or more locations (primary residence, vacation home, office, etc) and also hiring me as their private coach for on-location visits and long-distance coaching & guidance on both fitness training, mindset and nutrition. Hiring me or one of my Team Coaches as your private coach can also be done without purchase of the Home-Gym System, if preferred.